Nesting agreements between parents going through divorce are becoming more common. Also known as “birds nesting,” this arrangement is one approach for parents concerned about how their children will handle the myriad changes divorce brings to family life. Here are some pros and cons to consider to decide if this path is a good one for your situation. Nesting is a shared custody arrangement in which the children remain in the same house at all times while the parents take turns living in that house with the children. Some couples do this during the separation period, with the “off-duty” parent living in a separate apartment or staying with friends or family. The goal is to provide a constant home for the children while the marriage itself changes. The arrangement often a temporary measure, used either until the finalized divorce or some other approaching milestone, such as a child’s high school graduation. Child’s routine may not change much. Children have equal time with each parent. Gives parents time to sort out other divorce issues before dealing with the decisions about housing, especially if the housing market is unfavorable. If parents are working on the marriage and separated only as a trial measure, this approach may help keep continuity in life and ease reconciliation. The parents often find it difficult to move in and out of the home regularly. Nesting may cost more, because you continue to pay the mortgage, plus rent on up to two other living spaces, one for each parent, unless you have other arrangements such as family. Though if you can share the off-site residence, you’re actually reducing post-divorce costs because you’re only paying for two living spaces. However, sharing the alternate place can be difficult due to the struggle of divorce. Nesting often makes it difficult for either parent to enter a serious relationship, and it can become awkward if and when that occurs. Emotionally, nesting may be more painful for the parents at first, because they will see each other’s stuff and be a larger part of each other’s lives. Financially, nesting is also less of a clean break. If one parent will continue to live in the house after the nesting is over, the other might resent splitting the home maintenance costs. Nesting works best if the parents trust each other and can communicate respectfully. Those in high-conflict situations should not try this approach. The parents must live close by to make it easy. 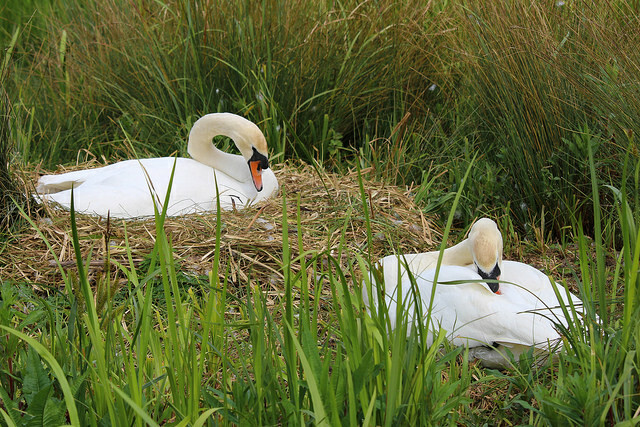 Nesting agreements must include a specific schedule, with frequent communication about the finances and children. Both parents must also feel comfortable leaving the space and turning it over to the other. Ideally, each parent has a separate bedroom to use while in the home, so those in smaller living spaces may not find this suitable. Both parents must also be willing to respect each other’s privacy. Create and share a schedule with your partner and your kids that shows who is the at home parent when. Some parents alternate weeks, while others switch twice per week. Make sure the schedule will work for both of you. Explain to your children that nesting does not mean you will get back together. Be sure they know nesting is probably temporary. Create a written agreement that outlines household responsibilities and chores, who pays the bills, how holidays and birthdays are handled, and any house rules. For example, who will mow the lawn? Who will call about the termite inspection? What rules do you want to set up for each parent? What if a parent begins dating? Is his/her partner allowed to spend the night? Think of it like a roommate and the types of conflict that arise in those situations. You might even Google roommate agreements for ideas. Speak with a family therapist if possible. He or she can help you navigate some of the oddities of nesting agreements. Some couples have been known to nest in the same house if the home is large enough to provide a separate living space or guest house. However, in North Carolina, you must live separately for one year before the divorce, and that means under separate roofs. Questions about divorce? Share your questions on our Facebook page or with us on Twitter to see them answered in a future post. Or ask a divorce professional directly during our next divorce workshop.